I hope you've had a good start to the new week. Trishlaemart.com is an affordable and fashionable apparel shopping destination with over 3500 products across different categories. I checked their website and explored huge collection of fashionable daily wear apparels including T-shirts,Ethnicwear,Lingerie,leggings,shorts and capris jeans etc from top Indian brands.Apart from apparels,they also have beautiful,unique,crafted to perfection imitation jewelry collections. WHY SHOULD ONE SHOP FROM TRISHLAEMART.COM? They have amazing collection for both women and men.Their collection inspires us to get unique. They have brands which enhances every girl's feminine side. You can choose trendy tees and jeans from this store and look great. 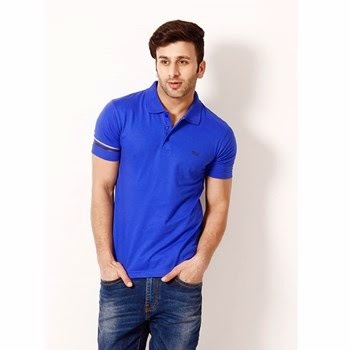 Get creative as you can with the polo tees which are very comfortable and look stylish. 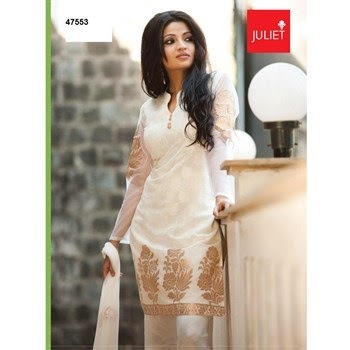 Their ethnic wear collection will leave you impressed.I loved patiala salwar suits and anarkali's which can be the perfect ensemble for family functions.Their designs are modern and adolescent. This simple yet classy attire epitomises sophisticated glamor. Not only for women,but they do have good collection for men too. Do check their website for more collection and I am sure you all would love to shop from this beautiful website.This is a one-stop website for all your fashion needs. Great picks, Vandana. Thc for sharing the link, I have to check them out.